Due to technical difficulties, we do not have an audio recording of this week’s sermon. However, you can still listen to the message by watching our livestream of the service from Sunday on YouTube. Click here to go to the video on YouTube. Last week we saw the problem: man, who desperately needs God, and God, who desires to have a personal relationship with man, are separated by the only thing that could separate them—sin. But why did Jesus have to die? 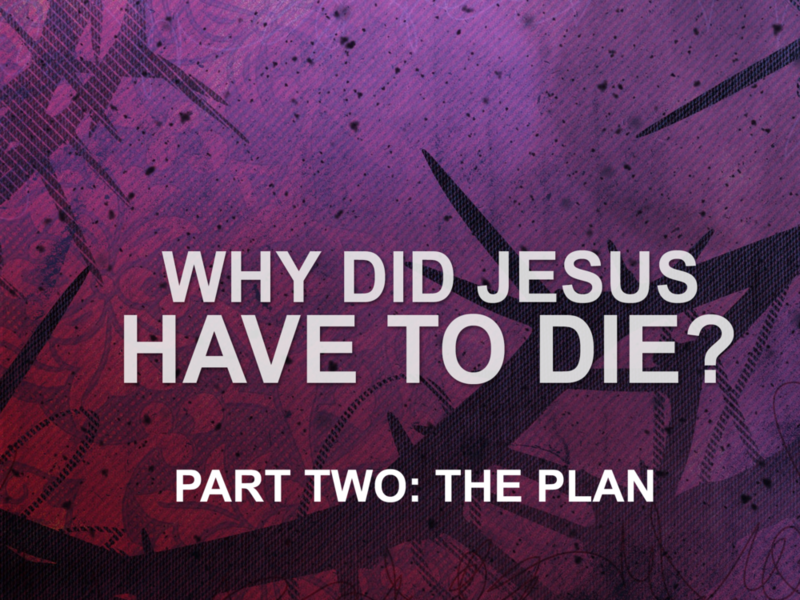 The average Christian doesn’t know the basic theology of why Jesus’s death was the only solution to to the problem. The Bible gives a great emphasis to the blood of Jesus, and understanding this is key to understanding Jesus’s role in God’s plan. There is life in the blood, and the giving of blood represents a sacrificial payment for our sin debt. The justice of God demands it. The forgiveness of sin has been tied to blood sacrifice in the Jewish faith, and so it is unsurprising that God’s plan for our salvation also involved blood sacrifice. This time, however, the sacrifice had a greater purpose. Jesus was uniquely qualified to be the only acceptable plan of reconciliation between God and man. His special status as man and yet divine and perfect in nature places Him in a perfect position to enact God’s plan. Jesus had to die to establish a new covenant between God and sinful man—one where sin was no longer forgiven by atonement, but instead redeemed. Jesus was the perfect mediator between ourselves and God, destined to save us because of God’s plan.